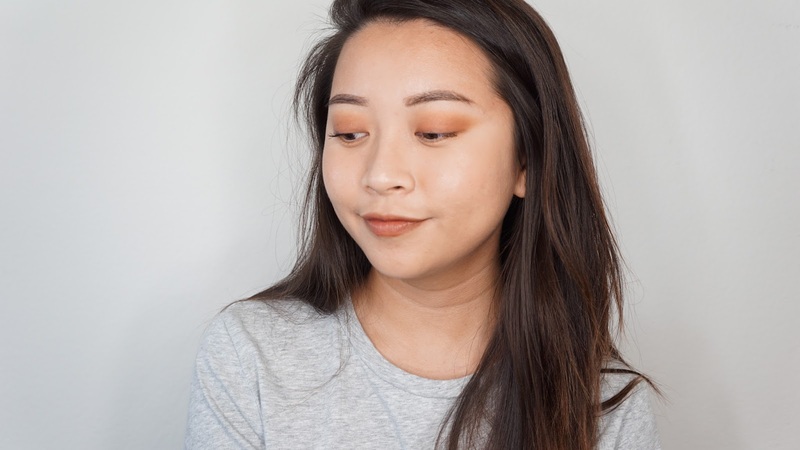 I actually forgot that I never posted my review of the Bite Beauty Multistick in Almond. I've mentioned it here and there and wear it pretty often and so I thought my review was already up. 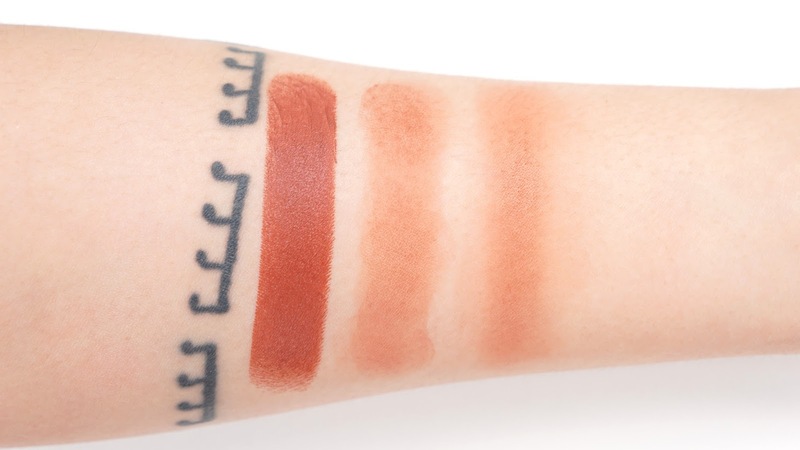 The Multistick can be used on the cheeks, lips, and eyes and Almond was one of the shades I knew I would wear in all three places. With mid range / high end products, I want to feel like I'm getting the most of my dollar and so this formula seems to match that criteria. There is 0.17 ounces / 4.75 grams of product and it retails for $24 at Sephora. The packaging is a soft matte twist up tube and feels pretty sturdy. There's a magnetic lid and I don't know if it's just met, but magnetic lids make me nervous since I don't hear a click to make sure it's closed. Almond is described as a rich mahogany shade and there's a brown undertone to it that makes it pretty wearable in my opinion. It can be sheered out so easily and since I don't wear blush that often, I love how Almond can give me the prettiest touch of rouge. There's a powder finish to Almond and so I feel pretty comfortable wearing it on my eyes. There was some slight creasing and so it's not as great as a cream eye shadow, but some primer definitely helps! Since I normally only use it as a base shade, the powder eye shadows I use on top help with the creasing as well. I absolutely love wearing Almond on the lips though. I can tap it on for a flush of color or swiped on with full opacity for a more bold lip. In the above picture, I applied it on the eyes (with some shade just on the outer wing shape), cheeks, and lips. I did apply it super light on the cheeks though since I was only going to do some small chores that day. By the end of the day, everything except the lip still looked perfect since I was eating a lot through the day. You can actually read about the full look here. While the Multistick is more on the dry side in terms of the finish, I try to still layer it on top of cream or liquid products so that it doesn't get patchy. I've had other dry textured creams that can be applied under or over powders, but the Multistick can be so pigmented that it's safer to apply it before powder in case you need to really blend / sheer it out. 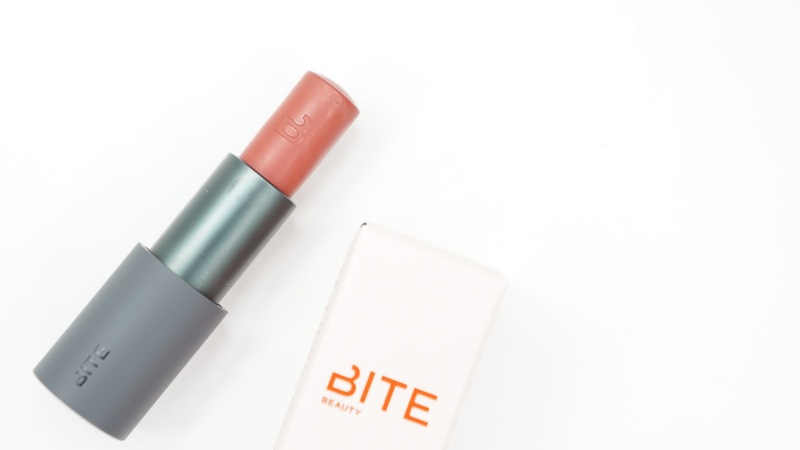 Unlike the other Bite Beauty products, the Multistick doesn't have a scent. I do like the scent in general, but I get why a multiuse product wouldn't be fragranced since the eyes or cheeks might be more sensitive than the lips. Final thoughts: The Multisticks are one of the better cream products I've used and it's even better that they're multiuse. I've had so many creams that would look great on the cheeks, but terrible on the lips and almost all of them would never work on the eyes. Almond specifically is a gorgeous color that I can use all over and I'm so glad that I have it. Because of the more powdery finish, it lasts perfectly through my 8 hour work day. The compact tube easily fits in my bag and because it's multiuse, I only need one thing to touch up the color on my face (if I decided to be more monochromatic). I highly recommend Almond and the Bite Beauty Multisticks in general! 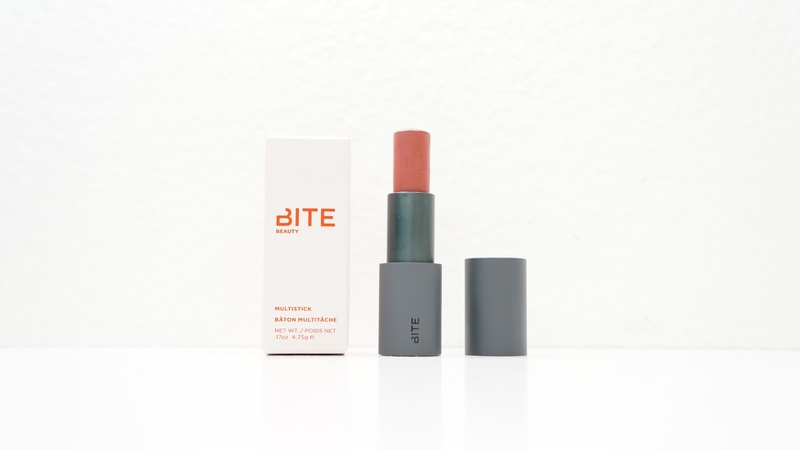 Do you have any of the Bite Beauty Multisticks? What's your favorite multiuse shade?